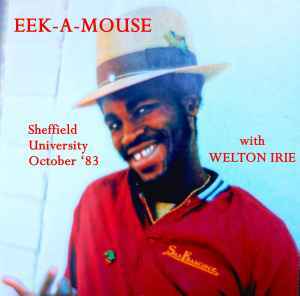 Eek-A-Mouse returned to Sheffield University October 1983 with Welton Irie. Good quality recording except that batteries ran out during Hitler and there is probably a track missing between this and Stadium Hot (partial track). Playing tracks from his forthcoming album The Mouse and Man.